Discover the charm and beauty of Orange County at Capistrano Beach's Riviera Beach and Spa Resort. Find affordable timeshare resale and rental units at prices up to 70% off retail today. What’s My Riviera Beach & Spa Resort Timeshare Worth? Tucked away along Orange County's palm-lined coasts, the Riviera Beach and Spa Resort offers a private beachside getaway in one of California's most alluring destinations. Far removed from the glitzy, yacht-lined harbors of Newport Beach, but still close enough to key Southern California attractions, you'll find a convenient vacation resort that caters to your every desire. Find the beach just beyond the resort's grounds, perfect for swimming, surfing, or catching that signature West Coast sunset. Enjoy on-site amenities and services ranging from a full service fitness center to a game room complete with pool and ping pong tables. The accommodations at the Riviera Beach and Spa Resort incorporate one and two bedroom suites ideal for both couples and families alike. Perfect for anyone seeking a picturesque Californian escape, your luxurious living space will feature views of the Pacific Ocean, private balconies perfect for lounging with a glass of wine or a good book, and full kitchens to prepare your own meals. With enough space for you and your group to be comfortable and enjoy California, the Riviera Beach resort will keep you coming back year after year. Are you ready to find your dream accommodations? Fill out the form on this page to learn more about owning a timeshare at the Riviera Beach and Spa Resort, or call a representative today at 1-877-815-4227. Purchasing a timeshare resale at the Riviera Beach resort can grant you years of amazing trips to Southern California, all for a fraction of the cost. By owning a piece of the resort all to yourself, you'll have guaranteed luxury accommodations right on the beach—and, buying through the resale market will allow you to obtain those vacation solutions for thousands less. Timeshare resales, which are sold by current owners instead of the resort itself, are often discounted by up to 70%, offering vacationers like you the deal of a lifetime. You'll find timeshare resales at the Riviera available in the form of deeded fixed and floating Diamond timeshare weeks, allowing you to find an ownership style that matches your preferences. You may also find resale opportunities in the form of Diamond points, which can lead to more flexible and convenient vacation planning solutions. Lastly, your Riviera Beach & Spa Resort timeshare will lead to bigger and better vacation benefits through Diamond Resorts International. The Riviera Beach and Spa Resort Capistrano is affiliated with Diamond Resorts International, one of the largest and most popular timeshare brands in the industry. As a resale owner at the resort, you'll have the perfect opportunity to access some of the brand's best and most exclusive owner benefits. For example, by purchasing just a few more Diamond points directly from the developer, you can bring over all of your existing resale points for a full upgrade. You'll be able to exchange your timeshare resale internally for stays at other Diamond resort properties, most notably through DRI Collections or THE Club, which can enable resale owners at the Riviera to see the world. As a Diamond Resorts affiliate, the Riviera Beach and Spa Resort is also affiliated with Interval International, a leading timeshare exchange company. Exchanging your timeshare is a good way to make your resale work for you—any given year, you can choose to turn in your California accommodations to discover new destinations worldwide at one of Interval's more than 2,000 other affiliated resorts. Simply obtain a separate Interval account, deposit your Riviera Beach Resort California accommodations into the exchange network, and trade for stays at comparable resorts for a different vacation experience. 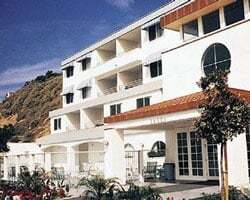 The Riviera Beach and Spa Resort Capistrano offers a great deal of tremendous on-site amenities and services geared toward making your stay one to remember. 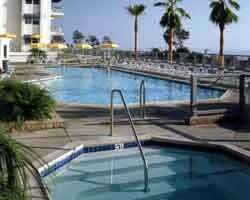 Spend time relaxing by the outdoor pool or hot tubs, or work up a sweat at the fitness center. Challenge family and friends to friendly rounds of pool or ping pong in the game room, or relax in the sauna to shake away that stress. Other on-site services like the free parking and laundry facilities allow you to have a convenient and carefree stay at the Riviera. Nearby, you'll find the ocean waiting for you just outside your door. Spend your days swimming, surfing, or sunbathing your way through your California trip, or try jetskiing or windsurfing instead. Head up to Newport Beach for fabulous shopping at Fashion Island or spotting the yachts in Newport Bay. Drive north to discover signature attractions around L.A. like Disneyland, or plan a day trip south to San Diego to visit Coronado Island or the San Diego Zoo. 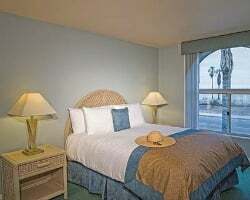 At the Riviera Beach resort, you'll have all of Southern California at your disposal. 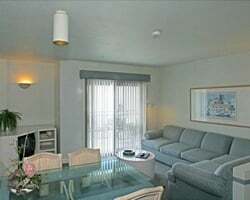 Already Own at Riviera Beach and Spa Resort?